Continuing slumps in Chinese stocks have hit global markets with nearly all indices around the world showing signs of instability [BBC / CNN]. Government support measures have failed to allay investor concerns and China's stocks plunged the most since 2007 [Bloomberg / Telegraph]. Shanghai Composite was down 8.5% at close, the biggest drop since 2007 and erasing gains for 2015. Meanwhile the Hang Seng China Enterprises Index lost 5.8% and Futures on the CSI 300 Index declined around 9.5%. Other Asian markets have been particularly hard hit. Equity markets also fell sharply. "It's not pretty," Bloomberg's anchor announced, "it's red, it's deep red." Global equity markets were also hard hit and commodity markets slumped to a 16 year low [Bloomberg / WSJ]. Raw materials are in retreat as supplies outstrip demand amid forecasts for the slowest Chinese growth since 1990. The largest user of energy, grains and metals was much weaker than anyone expected in the first half of the year, according to Ivan Glasenberg, head of commodity trader Glencore Plc. Chinese shares plunged after U.S. stocks sank last week. 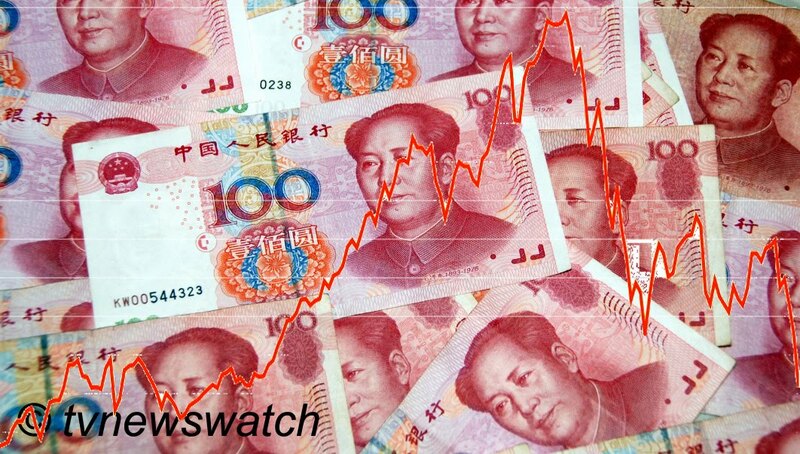 "It's being fuelled by the large drop in the Chinese stock market today, which is making people nervous about the management of the Chinese economy, which has direct implications for commodities," Ric Spooner, a chief market strategist at CMC Markets Asia Pty, told Bloomberg. Warning signs such as softer imports and exports have fanned fears of falling demand for raw materials in the world's second largest economy and had already rocked commodity markets last month [Guardian]. Industrial metals like copper and aluminium have been particularly hard hit, falling to multi-year lows. European markets have been hit heavily following the falls in the Asian markets. Stock markets in London, Paris and Frankfurt all opened sharply lower as fears of a Chinese economic slowdown continued to haunt investors. London's FTSE 100 index was down by 2.5% in early trade, while major markets in France and Germany also opened down by more than 3%. In addition, oil prices are slumping to six year lows, as traders worry about slowing growth in the worth's second largest economy [BBC]. Worsening economic data and signs of capital outflows are undermining unprecedented government attempts to shore up the China's $6 trillion stock market. "This is a real disaster and it seems nothing can stop it," Chen Gang, Shanghai-based chief investment officer at Heqitongyi Asset Management Company told Bloomberg. The downward trends begun in late June and despite continued government intervention there has been no sign of stability in the Chinese stock market. July saw the biggest losses in six years with the Shanghai composite index down 14% for the month [Guardian]. Indeed, the uncertainty has only fueled the retreat, and there are signs that many Western companies are starting to bail on China. The Chinese slowdown is forcing many Western companies to take a long hard look at their businesses in the Middle Kingdom. Many have already reduced investments, costs and product lines, as well as implementing initiatives to tackle increasing bad debts [Business Insider]. For those who believe China's economic slowdown is worsening and risks from spiralling debt and wasteful investment are propelling the country toward a financial crisis, the spectre of capital flight lurks behind each new data point [FT]. Many analysts have said that in the long-term there is little to worry about and that China will eventually recover. "I'm optimistic long-term and medium-term that China will come back. Short-term, we need to manage through the drought that we see," said Ulrich Spiesshofer, CEO of Swiss-based industrial conglomerate ABB. "We are in correction territory at the moment" Ian Harnett of Absolute Strategy Research told Bloomberg TV, whilst speculating that Chinese authorities would eventually "bring things around". Overall economists expect mild capital outflows from China to continue, but most analysts do not see a major cause for alarm. They note that China's foreign exchange reserves are still by far the world's largest and that a significant chunk of capital outflow is due to intentional policy choices by the Chinese government, rather than panicked investors seeking an exit. But while Western commentators and economists remain generally optimistic, many of those in China are seeing red. China's stock markets are dominated by individual investors, and it is they who have been hardest hit. For more than a year the market only went up and everyone felt richer. But as the markets crash the credibility of the government is at stake [BBC]. "In the beginning I thought the government was trying to do its best," one young investor told the [BBC]. "But now I'm really angry. They just cheated." "People trusted the government but the government let them down. It encouraged people to buy stocks but it's turned out to be a joke. The lesson is never trust the government."